I wasn’t one of those guys who were excited as hell for this film, but I was still looking forward to it. I pretty much got what I wanted, this is not one of the best movies in MARVEL UNIVERSE, but it still is very good. There has been a thing MARVEL has been shocking us with their movies, first last year’s ANT-MAN, then DEADPOOL & now DOCTOR STRANGE, they are good at launching new characters of theirs. I will start the review, by talking about the visual effects in the film, we all saw it in the trailer, it was quite similar was compared to effects of films like INCEPTION & THE MATRIX. YES, this movie has “some” great visual effects, but there were some scene’s where I was like, okay that is clearly a visual effect. That was one small flaw with movie I noticed about the visual effects, otherwise it was great. The story, it is followed by a doctor STEVEN STRANGER, a very good doctor, but arrogant. And then he meets a car accident, and after that his hands stop working in a way, he tries western medicines but when they don’t work out, he goes to eastern way and discovers some new things he didn’t knew existed. The things include something like magic etc. And then certain events takes place, that’s it pretty much the plot. This was predictable at moments, but I can say that overall it is not a “GREAT” film, hell it is not even as great as the recent two MARVEL movies “DEADPOOL” which is by far the best. CAPTIAN AMERICAN: CIVIL WAR, hmm in a way that was also slightly better then this. But, this still is a solid film. Performances: Benedict Cumberbatch, is brilliant in the film. He is one of the reason’s why DOCTOR STRANGE was “good”. He plays the character very well. This movie has lots of other great actors like RACHEL McADAMS, MADS MIKKELSEN, they each have a small role to play, but the limelight stays CUMBERBATCH. They could have used McADAMS character maybe a little more but that was okay. 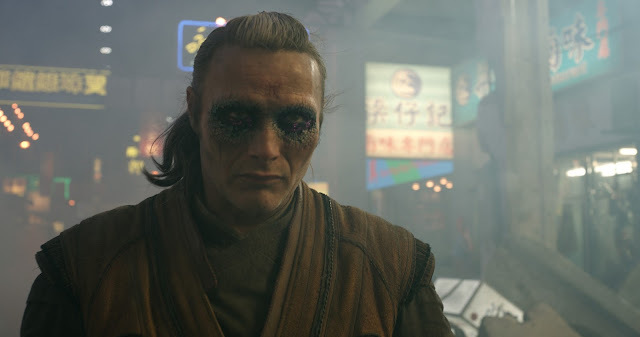 MADS MIKKELSEN was great, as he has been doing justice to his acting for a while now. The 3-D of this film was really cool. Tough, there are very few films which make difference of the visual experience more good or maybe even bad :P, but this is surely one of the good one’s. I highly recommend seeing it in 3-D. Tough, I don’t really take 3-D so seriously ;). The action sequences, some of them were superb, but they had to be more effective which couldn’t. I think the camerawork in the action sequences could have been better to give it a more effective and subtle look. No, there were almost no shaky camera in the film, but you know, If you don’t make the camera innovative during the action sequences, it may be not as good as you think. It is a lot similar to two CHRISTOPHER NOLAN films, I mean not similar but yeah they took some elements from like INCEPTION & BATMAN BEGINS. There are people running on the buildings via gravity, etc. Also, like BRUCE WAYNE travels to somewhere away, here Mr. STRANGE, do something similar. The first act takes a lot of time, to introduce the character’s and jump into storyline, which in a way was good, but in way negative too :P. But, this surely a different MCU film, it’s third act is very unique then any other MCU film. 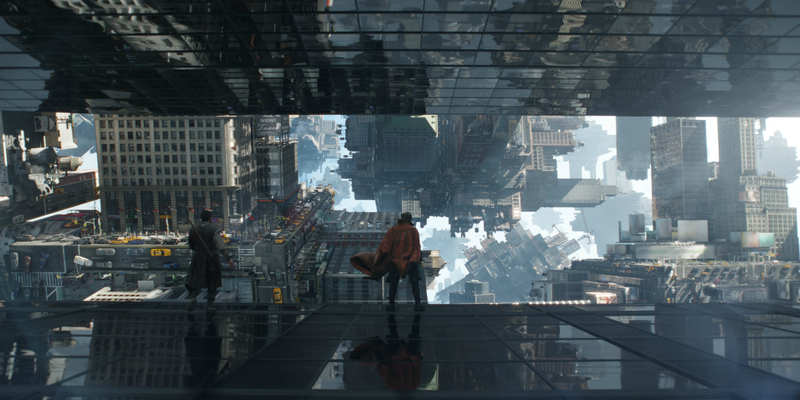 It has some humour as well, which didn’t quite worked atleast for me, and they should have showed more training of DOCTOR STRANGE, they just rushed at some moments of it. Just last thing , one major flaw or I should say a wrong decision was they let the characters talk a lot, now not a classic TARANTINO movie talk, but informative talk. They just setted up couple of scene’s in which character’s talk about some information that we need to know, they should have gone some other way for this. In the end, MARVEL did it again, this is no where a GREAT film, but it certainly is enjoyable, especially for those who were waiting for it, and even if you weren’t I recommend to see it. 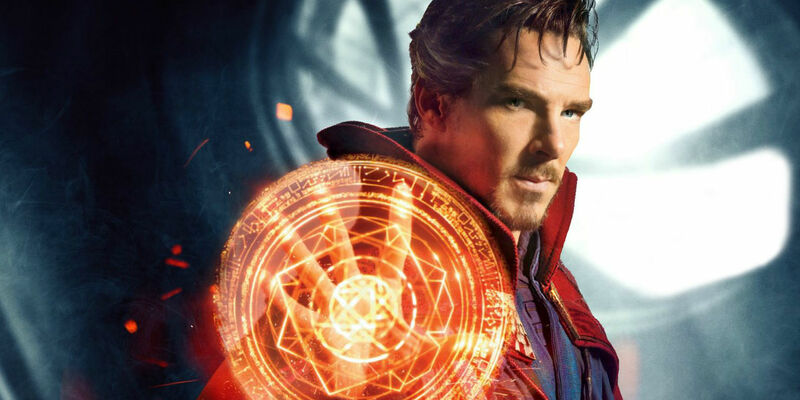 MCU made a good hero again, but a forgettable villan again :P.
So, be sure to check DOCTOR STRANGE guys. Let me know what are your thoughts on the movie. And if you are wondering about what is B-, surely check out my new rating system.